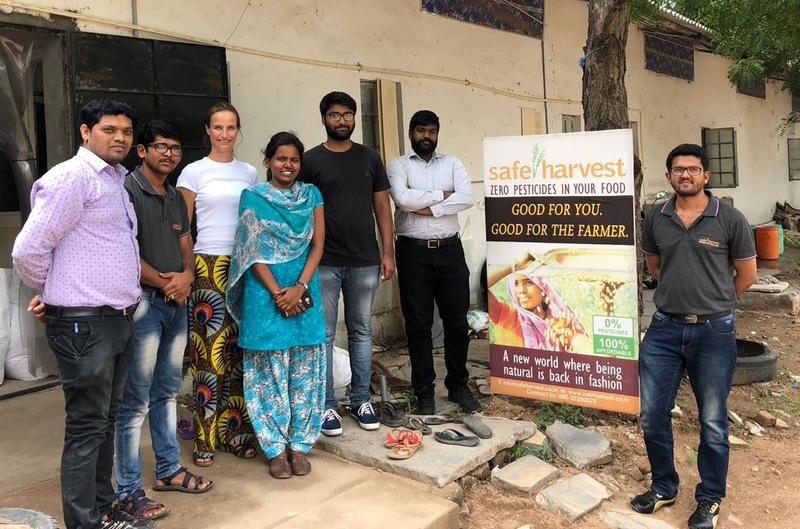 Safe Harvest is actively engaging with farmers across India, a majority of who are women, and brings high quality pesticide-free food directly from farmers to consumers. Women on Wings and Safe Harvest collaborate on their joint goal of increasing jobs and raising the income of rural women. Further, to facilitate Safe Harvest in its growth, Germaine introduced the Japanese 5S methodology. 5S uses a list of five words (Sort, Set In order, Shine, Standardize and Sustain) and describes how to organize a work-space for efficiency and effectiveness by identifying and storing the items used, maintaining the area and items, and sustaining the new order.Together the Women on Wings experts and Safe Harvest team generated a fixed agenda for the daily production meeting and elaborated on safety stocks, bottlenecks, wastage and looked for the right spot to put up an extra packaging line.